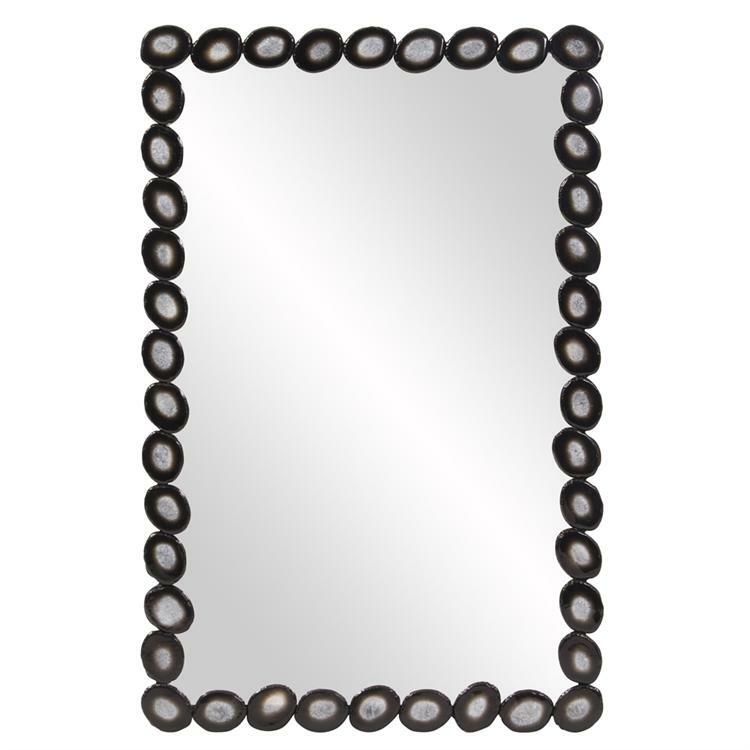 The Glendale Mirror features a rectangular frame composed of black and gray geode agate pieces. It is a perfect focal point for any deisgn. The mirrored glass on this piece is NOT beveled. Hang vertical or horizontal. Also available in a round shape. Customizable for larger orders.